Soil is a natural compound and therefore has a different element makeup depending on a variety of factors including location, climate, and other environmental factors. Different kinds of trees and shrubs thrive in different soils. The soil in your lawn may be lacking beneficial elements and nutrients to sprout colorful blooms or grow fresh branches each season. 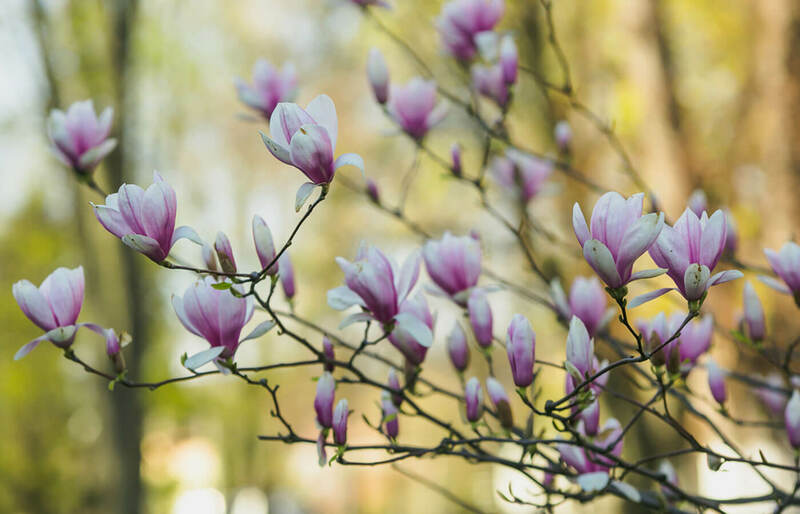 Fertilizers offer your trees and shrubs the added boost they need to produce beautiful blooms, weeping cherry trees, Japanese maple trees, boxwoods, and more. The spring season is the perfect time to apply fertilizer before the blooming season. There are many are many products available on the market to feed your trees and shrubs. You may have heard of tree food spikes, tree fertilizer stakes, or other items that are injected into the ground. Organic fertilizer is also an option, although harder to determine the right nutrient ratios are being applied. These products may contain similar ingredients, but are isolated to one area and may not reach all of the plant roots. At Canopy Lawn Care, our Pros prefer to use a granular fertilizer that can be sprinkled around the base of the plants. The nutrients are then absorbed into the soil through watering and rain. This is a common service that we provide to our customers along with their lawn mowing or other landscaping service plans. Need help with tree and shrub fertilization?